Duck Eggs . . . . . . . .
Nestled in the heart of Idaho farm country , Ohadi All Natural raises duck eggs & ducks for consumption the old fashioned way, utilizing free range, pasture fed grazing & whole grains. NO antibiotics, hormones or additives ever!!! 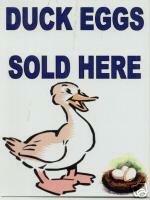 Locally grown in Idaho, ducks and duck eggs are sold through several outlets (see below) and through the ranch. 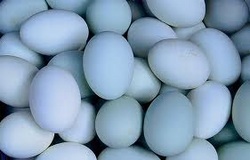 Duck eggs are available in cartons of 6 count, 12 count and 30 count trays from sizes small to jumbo. Ducks, for consumption are special order to insure freshness.